The <headerLimits> element of the <requestFiltering> collection contains a collection of <add> elements that specify the maximum size in bytes for HTTP headers. 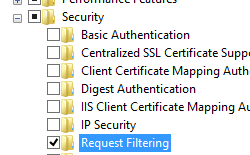 This substatus allows Web administrators to analyze their IIS logs and identify potential threats. 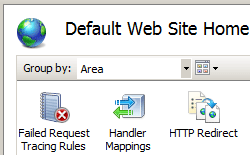 IIS 10.0 The <headerLimits> element was not modified in IIS 10.0. 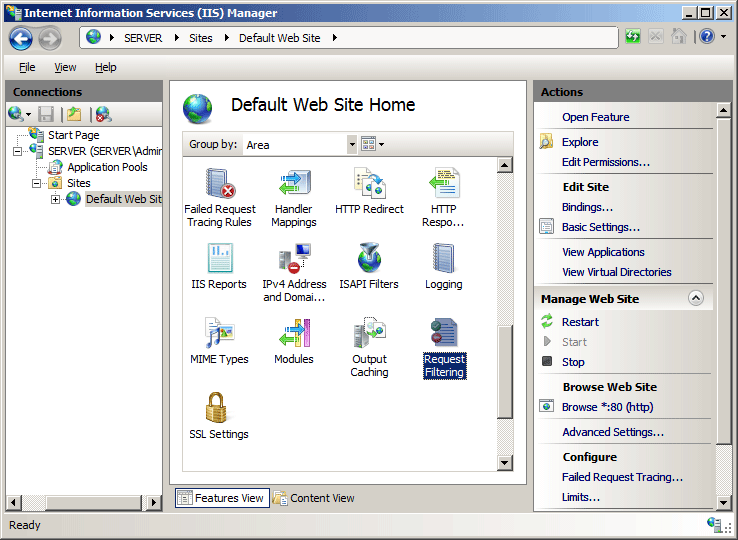 IIS 8.5 The <headerLimits> element was not modified in IIS 8.5. 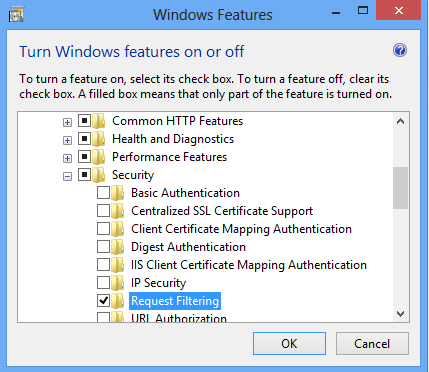 IIS 8.0 The <headerLimits> element was not modified in IIS 8.0. 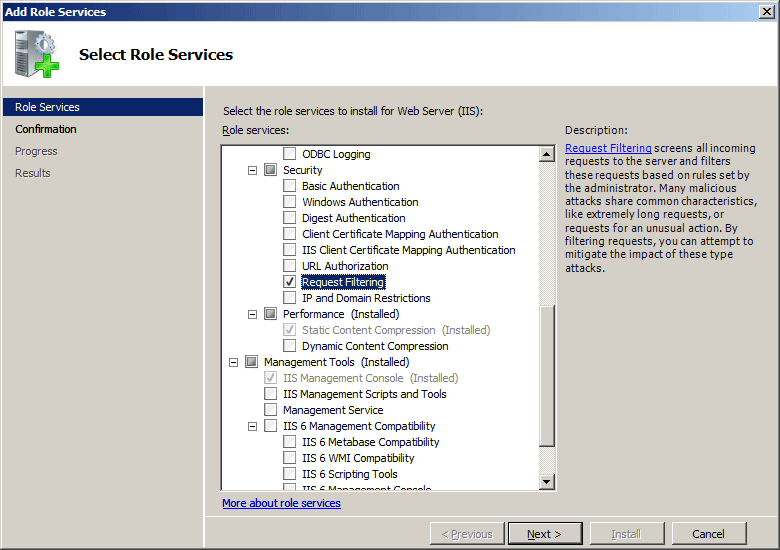 IIS 7.5 The <headerLimits> element was not modified in IIS 7.5. 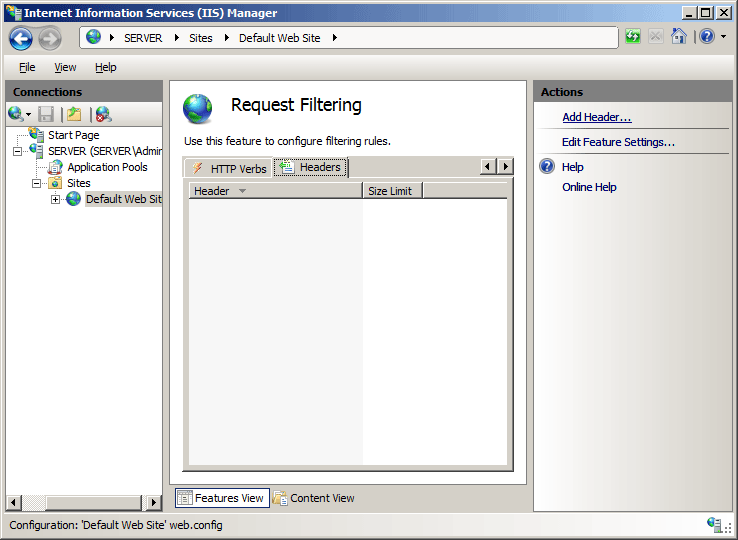 IIS 7.0 The <headerLimits> element of the <requestLimits> collection was introduced in IIS 7.0. 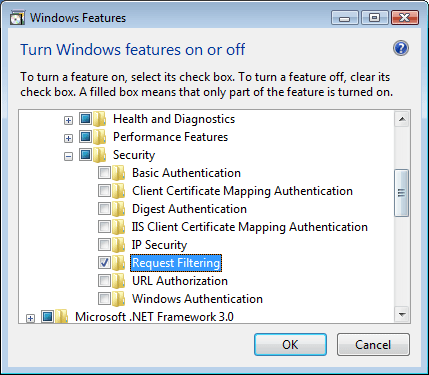 IIS 6.0 The <requestLimits> element replaces the IIS 6.0 UrlScan [RequestLimits] features. 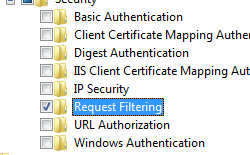 In the Request Filtering pane, click the Headers tab, and then click Add Header... in the Actions pane. 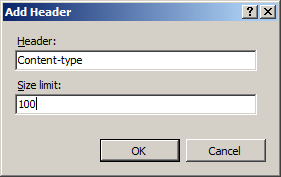 In the Add Header dialog box, enter the HTTP header and the maximum size that you want for the header limit, and then click OK.
For example, the "Content-type" header contains the MIME type for a request. 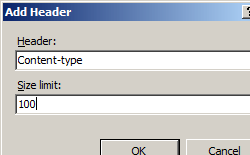 Specifying a value of 100 would limit the length of the "Content-type" header to 100 bytes. Adds a size limit for an HTTP header to the <headerLimits> collection. Removes all references to an HTTP header from the <headerLimits> collection. 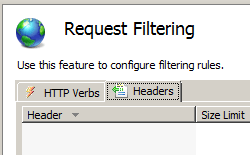 Removes a reference to an HTTP header from the <headerLimits> collection. 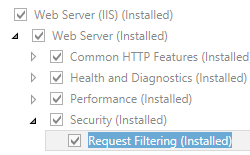 The following example Web.config file will configure IIS to deny access for HTTP requests where the length of the "Content-type" header is greater than 100 bytes. 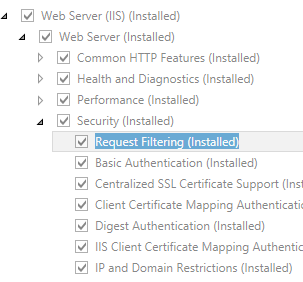 The following code samples will configure IIS to deny access for HTTP requests where the length of the "Content-type" header is greater than 100 bytes. 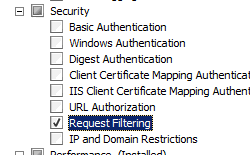 appcmd.exe set config "Default Web Site" -section:system.webServer/security/requestFiltering /+"requestLimits.headerLimits. [header='Content-type',sizeLimit='100']"